Stewart Commercials, our distributor in North Ireland, attended the CIWM SPRING CONFERENCE AND EXHIBITION 2017 in Belfast this week. Their stand was busy with a great atmosphere and there was an big interest in the VDK-product range which features some very innovative technology. On the stand, Stewart Commercials presented also a brand new VDK refuse collection vehicle. The vehicle was a PUSHER 4000 with our industrial REL-bin lifter, the MAXLIFT/CB09 REL. This bin lifter offers the same robust design and safe operation as all the other VDK products. The MAXLIFT/CB09 REL comes as standard with a classic comb and a chain system giving operators superb functionality and flexibility on the route. With a huge lifting force, the lifter can easily handle the large skip containers. For an extreme safe operation, the MAXLIFT/CB09 REL includes a hydraulic bin locking mechanism for the large skip containers. 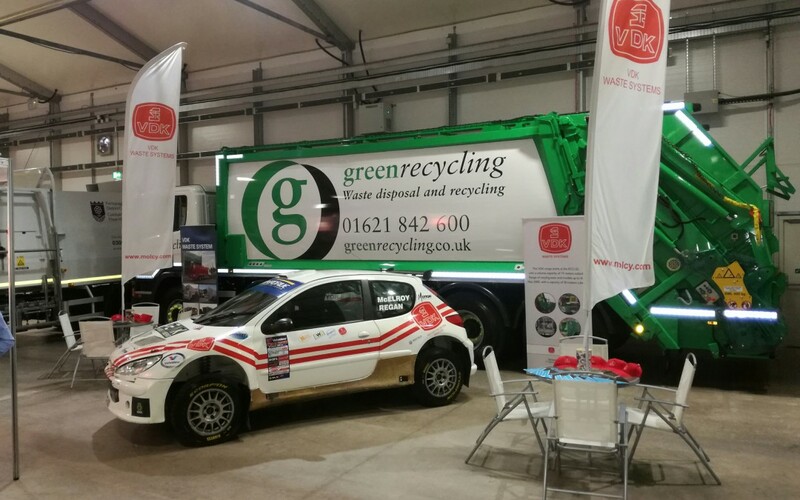 Special thanks goes to our customer Green Recycling which allowed us to use their most recent vehicle for the show! We want to thank also all the customers who visited the stand of Stewart Commercials!